The Award has been assigned to Julia Plass from the Ludwig Maximilian University of Munich. 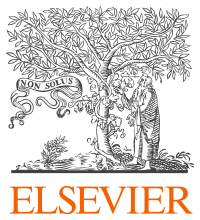 We invite applications for the IJAR Young Researcher Award, which is granted by the International Journal of Approximate Reasoning (IJAR). The prize (1000 Euros) will be awarded to one young researcher for excellent research in the area of imprecise probabilities. 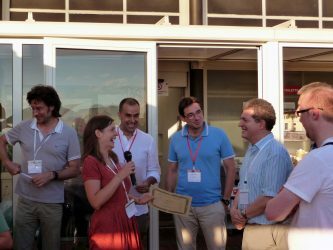 The award is open to Master students, PhD students and young post-doc researchers who have received their PhD in 2016 (or 2017), and who have demonstrated excellence in research on imprecise probabilities. The corresponding stage of the career is taken into account in the judgement. Applicants should have submitted a paper (not necessarily as first authors) to ISIPTA ’17. Applications should be submitted through the Easychair system to the dedicated track (IJAR Young Researcher Award Track). Each application should include a curriculum vitae, a list of publications, and a short (no more than two pages) research statement. Applications should be received by the paper submission deadline (March 3, 2017). A selection committee composed by Matthias Troffaes (Durham University, UK), Damjan Skulj (University of Ljubljana, Slovenia), and Paolo Vicig (University of Trieste, Italy) will review the applications. The winner, who will be asked to attend the conference, will be notified shortly after the authors notification (April 18, 2017).